Factor VII (FVII) deficiency is a rare haemorrhagic condition, normally inherited as an autosomal recessive trait, in which clinical presentation is highly variable and correlates poorly with laboratory phenotype. The FVII (F7) gene was sequenced in 48 unrelated individuals with FVII deficiency, yielding a total of 23 novel lesions including 15 missense mutations, 2 micro-deletions, 5 splice junction mutations and a single base-pair substitution in the 5' untranslated region. 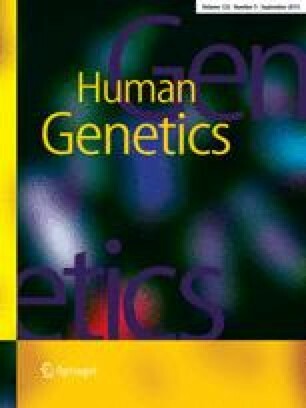 Family studies were performed in order to distinguish the contributions of individual mutant F7 alleles to the clinical and laboratory phenotypes. Specific missense mutations were evaluated by molecular modelling in the context of the FVIIa-tissue factor crystal structure. Single base-pair substitutions in splice sites and the 5' untranslated region were studied by in vitro splicing assay and luciferase reporter gene assay, respectively. All probands were also typed for four previously reported F7 polymorphisms. In the majority of cases of FVII deficiency studied here, consideration of both mutational and polymorphism data permitted the derivation of plausible explanations for the FVII activity and antigen levels measured in the laboratory. Inter-familial variation in FVII activity and the antigen levels of heterozygous relatives of probands was found to be significantly higher than intra-familial variation, consistent with the view that the nature of the F7 gene lesion(s) segregating in a given family is a prime determinant of laboratory phenotype. Although no relationship could be discerned between laboratory phenotype and polymorphism genotype, the frequencies of the A2 and M2 polymorphic alleles were significantly higher in the FVII-deficient individuals tested than in controls. This suggests that the presence of these alleles may have served to increase the likelihood of pathological F7 gene lesions coming to clinical attention.